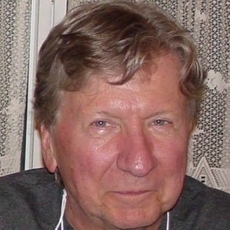 F. Paul Wilson is the author of forty-plus books and numerous short stories spanning science fiction, horror, adventure, medical thrillers, and virtually everything between. His novels regularly appear on the New York Times Bestsellers List. He has received the Lifetime Achievement Award from the Horror Writers of America, the Stoker Award, the Porgie Award, the Prometheus and Prometheus Hall of Fame Awards, the Pioneer Award from the RT Booklovers Convention, the Inkpot Award from ComiCon, and was voted Grand Master by the World Horror Convention. He is listed in the 50th anniversary edition of Who’s Who in America. Millions of his books are in print in twenty-four languages. He also has written for the stage, screen, and interactive media. His latest thrillers, Nightworld and Cold City feature his urban mercenary, Repairman Jack. Paul resides at the Jersey Shore and can be found on the Web at www.repairmanjack.com. His classic story, "Slasher," appears in Uncommon Assassins.